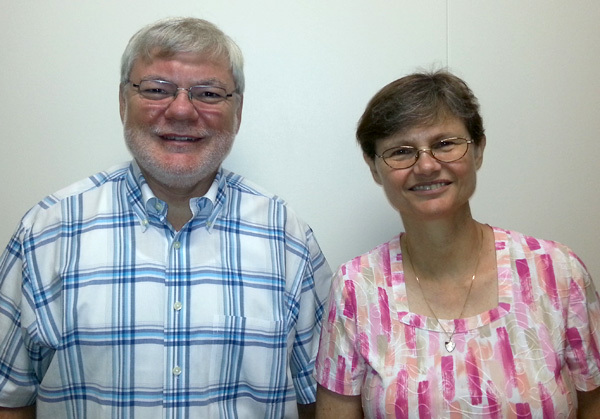 Dr. Linda Gibler, OP, PhD, associate academic dean at Oblate School of Theology, and Dr. Scott Woodward, D. Min., academic dean. In September, the Planning Team of the Science in Seminaries initiative at John Carroll University, University Heights, Ohio announced a $10,000 grant to the Oblate School of Theology, San Antonio, Texas, for a course titled “Catholicism in an Evolving World” to be taught by Dr. Linda Gibler, OP, PhD and Dr. Scott Woodward, D. Min. The grant is made possible through the Templeton Foundation. In response to papal and other Church documents to include scientific literacy in the formation of seminarians, Gibler and Woodward developed a course that would increase students’ scientific literacy, particularly in the area of cosmology and evolution. Dr. Gibler is a Dominican Sister of Houston and serves as the associate academic dean at Oblate School of Theology. She received her doctorate with a specialization in philosophy, cosmology, and consciousness in 2007 from the California Institute of Integral Studies. Dr. Woodward is the academic dean at Oblate School of Theology and received his Doctor of Ministry with a specialization in Supervision in Ministry from Oblate in 2004.